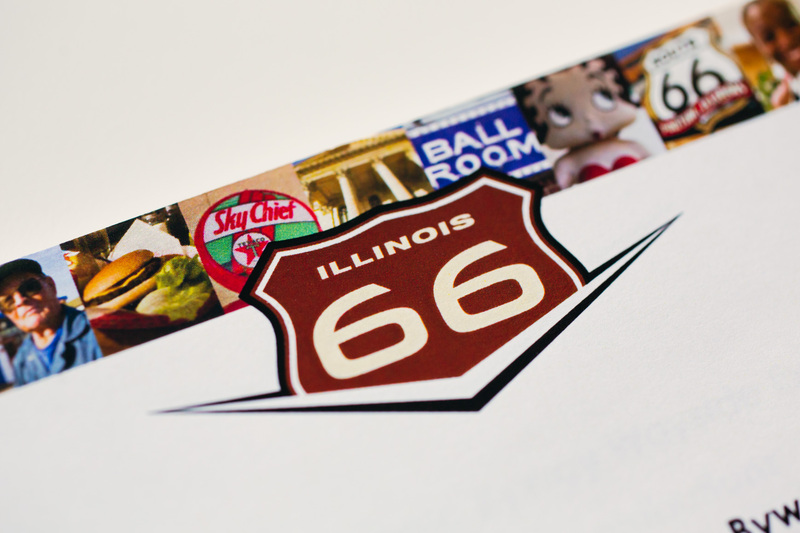 Illinois Route 66 National Scenic Byway sought to raise the profile of its portion of the iconic Route 66 travel experience. 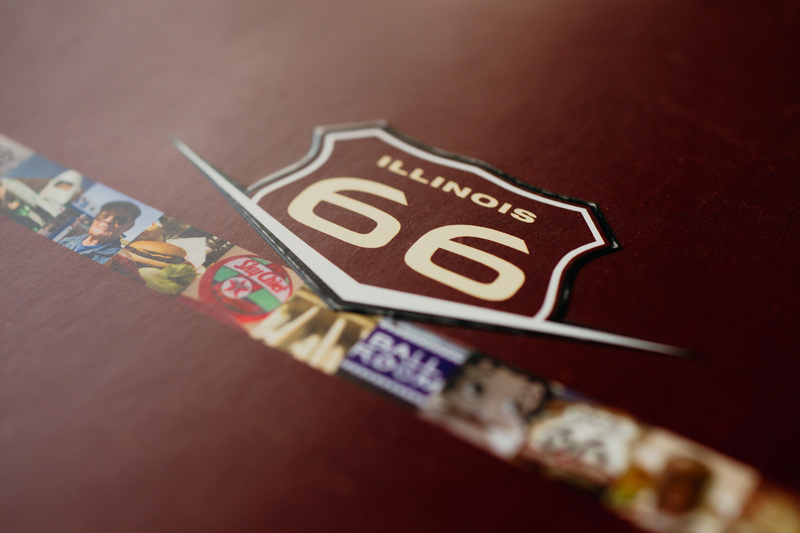 While the Route 66 brand is well known among consumers internationally, awareness of the Illinois portion of the route was low, and perception relatively undefined. 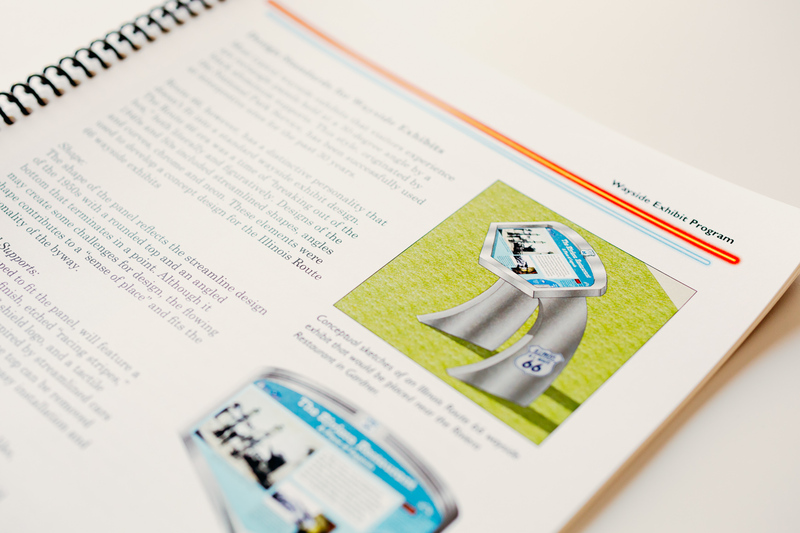 Based on the outcomes of GSearch, GrahamSpencer created a new identity design, brand concept, messaging hierarchy, public relations push and more. 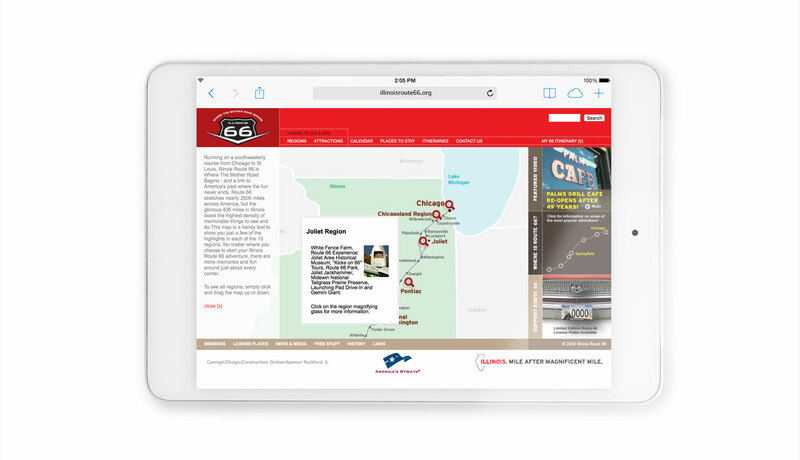 The concept was translated into a dynamic, highly interactive website designed to help travelers plan a trip along the route. 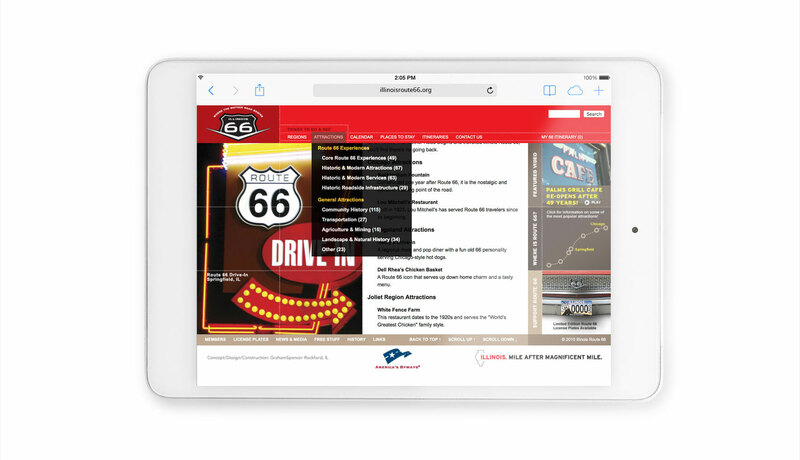 Complete with a comprehensive database of attractions along the route, the website engaged its demographic with a user-friendly, ADA-approved platform. 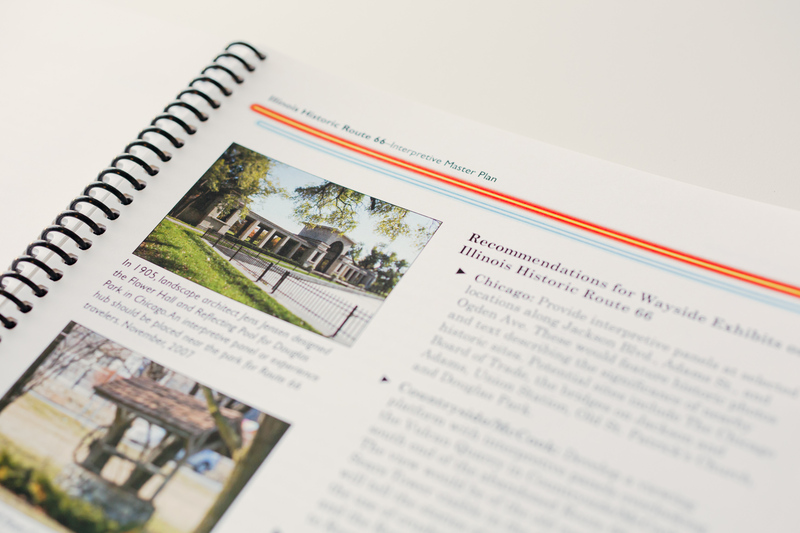 It featured an award-winning video telling the story of the historic Palms Grill Cafe and a handy Trip Planner that was ahead of its time for tourism websites. 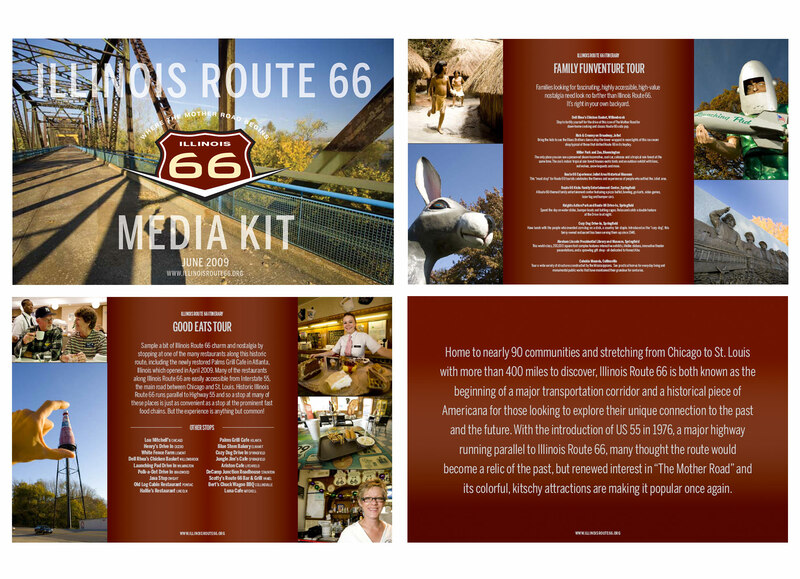 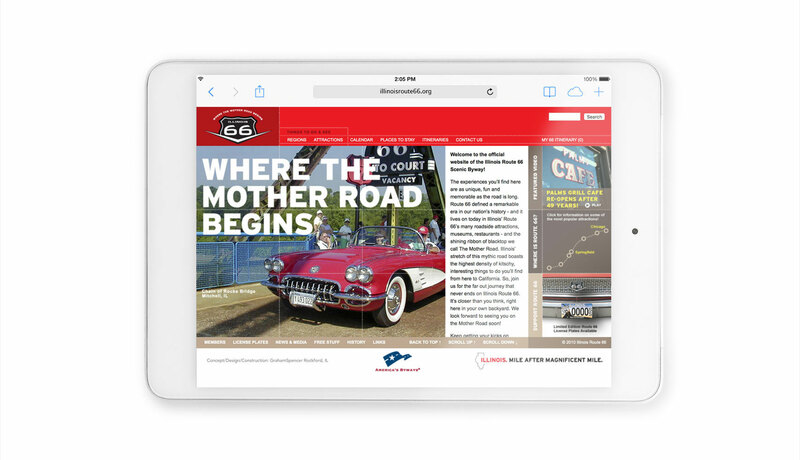 GS won multiple ADDY awards for its work on Illinois Route 66 and the attractions along the way enjoyed renewed interest as web traffic and inquiries built precipitously.